In his role as Vice President, Strategy and Successful Aging, Dr. Jon Zifferblatt advances West Health’s mission to lower healthcare costs to enable seniors to successfully age in place with access to high-quality, affordable health and support services that preserve and protect their dignity, quality of life and independence. Solely funded by philanthropists Gary and Mary West, West Health is a family of nonprofit and nonpartisan organizations including the Gary and Mary West Health Institute and Gary and Mary West Foundation in San Diego, and the Gary and Mary West Health Policy Center in Washington, D.C.
At West Health, Dr. Zifferblatt creates and implements our strategic successful aging initiatives, as well as co-managing our platform focused on lowering the cost of healthcare. Under his leadership, the organization is focused on driving integration across its successful aging clinical research portfolios, models of excellence and cost of healthcare strategic initiatives. Ensuring that the work done by West Health has maximal impact – at scale – for older adults is a key area of his focus. 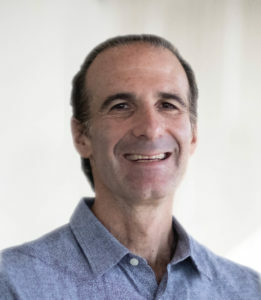 Prior to joining West Health, Dr. Zifferblatt has had previous roles in the population health, evidence generation, and healthcare business sectors, and has served in a variety executive, research, and clinical capacities in the US, China, and Japan. A California native, he completed undergraduate work at Stanford University, received his medical degree from UC San Diego, and a combined MBA/MPH from UC Berkeley.